The largest and deadliest wildfire in California history, the Camp Fire has killed 81 people, at the time of this writing, and has destroyed over 13,500 homes. It has also destroyed most of Paradise, a town of over 26,000 people in the foothills of the Sierra Nevada mountains. The over 153,000 acres burned may not be due to an act of nature. There may be now reason to believe PG&E, a private utility company, may be to blame for the massive blaze. On November 8th, a Red Flag alert was posted in Butte County. High winds and low humidity made for ideal fire conditions. Despite these conditions, PG&E did not cut power to transmission lines even when there were reports of a nearby fire, according to reports. The fire started at about 6:30 a.m. and spread quickly. Property owners were notified by the company beforehand that it might cut power, even though that turned out not to be the case. There are also reports the power company knew power lines and/or transformers in the area needed to be repaired. A local resident even received a letter of its intent to inspect and replace equipment on their property. This was the day before the fire began. The morning the fire started, PG&E detected a power line outage. Located near Poe Dam, the 115kV transmission line and a transmission tower were confirmed to be damaged by aerial photos taken near Pulga. Several power lines were down as well. 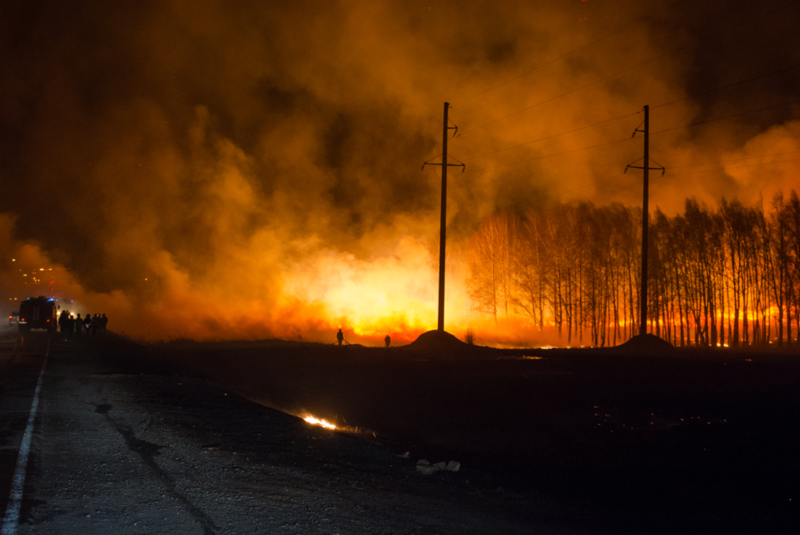 Incident reports filed on the event detailed a problem with a high voltage line near Concow, owned by PG&E, the same morning the Camp Fire began, while Cal Fire had received reports of a fire in the vicinity at about the same time. Although it hasn’t released any details on the fire’s cause, Cal Fire has confirmed it is investigating the details contained in the incident reports. If PG&E is found to be at-fault for the Camp Fire, it will be required to compensate victims for losses. That includes their homes, cars, and the wrongful death of loved ones. The losses it could be liable for would exceed those covered by homeowner’s or renter’s insurance. According to Citigroup Inc., the fire may have caused over $15 billion in damage. The power company is already facing liability for fires in 2017, and therefore may eventually be required to pay more than $30 billion to victims. How Can The Law Offices of Jacob Emrani Help? Our law firm is closely following the investigations of the Camp Fire. You can depend on our experienced personal injury lawyers to help file claims against PG&E and fight for compensation covering your losses. Having recovered millions in dollars in damages for clients over the years, we can help if you suffered injuries or losses in the recent fire, or a loved one lost their life as a result. Car, motorcycle, bus, truck, defective product, medical malpractice, and workers compensation accident victims can attest to our competence and effectiveness. We’ve served clients throughout Northern California as well as cities and communities in Southern California. To learn more and receive a free case evaluation, call 888-952-2952 today.